Clergy, lay delegates and observers began arriving at Holy Trinity Orthodox Church in Parma, OH on Monday night for the 17th All American Council. 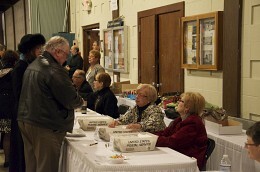 Registration took place before Great Vespers which was served by Fr. Andrew Clements, the Dean of the Cleveland Deanery. At the end of Vespers, Fr. 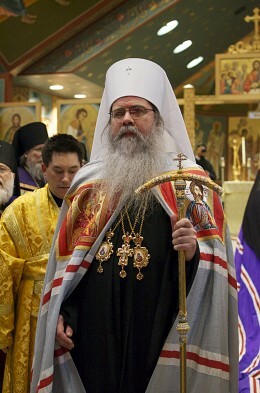 Alexander Garklavs, the host rector, offered the homily on St. John Chrysostom. Photos from the first and second ballots, and the announcement and installation of Metropolitan TIKHON.